Congratulations – stage 1 complete. A useful way to manage who is following you; sectors, geography, news channels, humour…. Whether you know them or not. @ The @ sign is used to call out usernames in Tweets: “Hello @twitter!” People will use your @username to mention you in Tweets, send you a message or link to your profile. @username A username is how you’re identified on Twitter, and is always preceded immediately by the @ symbol. For instance, Katy Perry is @katyperry. Direct Messages Direct Messages are private messages sent from one Twitter user to another Twitter users. You can use Direct Messages for one-on-one private conversations, or between groups of users. Follow Subscribing to a Twitter account is called “following.” To start following, click the Follow button next to the user name or on their profile page to see their Tweets as soon as they post something new. 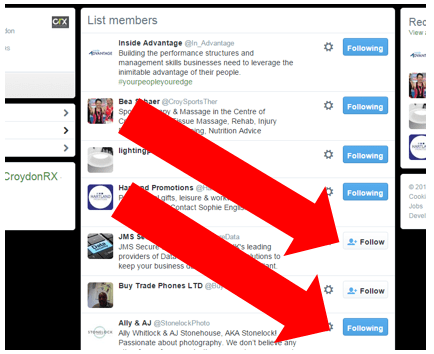 Anyone on Twitter can follow or unfollow anyone else at any time, with the exception of blocked accounts. Hashtag A hashtag is any word or phrase immediately preceded by the # symbol. 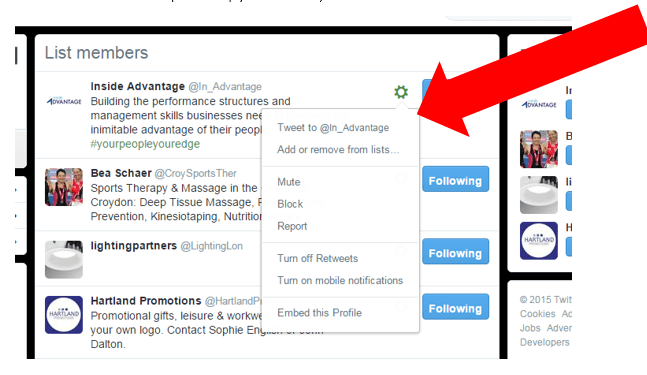 When you click on a hashtag, you’ll see other Tweets containing the same keyword or topic. List From your own account, you can create a group list of other Twitter users by topic or interest (e.g., a list of friends, coworkers, celebrities, athletes). 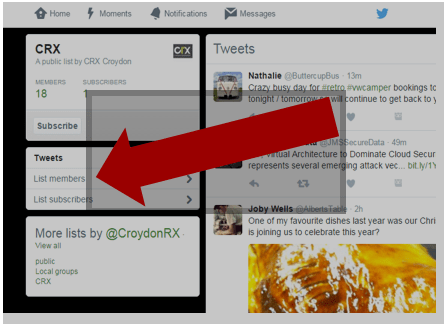 Twitter lists also contain a timeline of Tweets from the specific users that were added to the list, offering you a way to follow individual accounts as a group on Twitter. Mention Mentioning other users in your Tweet by including the @ sign followed directly by their username is called a “mention.” Also refers to Tweets in which your @username was included. Retweet (n.), RT A Tweet that you forward to your followers is known as a Retweet. Often used to pass along news or other valuable discoveries on Twitter, Retweets always retain original attribution. Trends A Trend is a topic or hashtag determined algorithmically to be one of the most popular on Twitter at that moment. 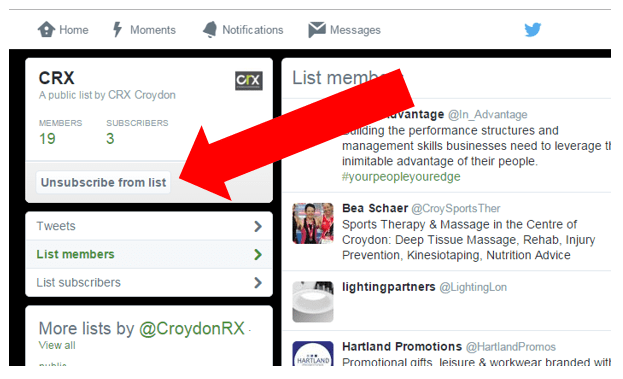 You can choose to tailor Trends based on your location and who you follow.